In the 20th century, if someone ever suggested a police interceptor powered by a 6-cylinder engine, they would have been laughed off the bus. But it's the 21st century and Ford's twin-turbo 6-banger is king of the hill. This year, Ford bested all entries, including V8-equipped sedans, with its EcoBoost powered all-wheel-drive version of the all-new 2020 Police Interceptor Utility, posting fastest 0-60 mph and 0-100 mph times, as well as fastest lap and fastest average lap. The standard hybrid 2020 Police Interceptor Utility also beat all competitive SUV entries, including V8-equipped models, with the fastest 0-100 mph, fastest lap and fastest average lap making good on Ford's promise to deliver a hybrid Police Interceptor that outperforms today's 3.7-liter V6 model with all-wheel drive. In addition to turning in the fastest times, the EcoBoost Police Interceptor Utility clocked in with the highest top speed 150 mph in Michigan State Police evaluations, marking the first time an SUV was the overall quickest and fastest police vehicle. The hybrid version turned in a top speed of 137 mph, also besting competitive SUV entries, including those equipped with V8 engines. Stephen Tyler, police brand marketing manager for Ford, says America's law enforcement agencies previously have had to choose either fuel efficiency or all-out performance, but the new vehicle offers both. 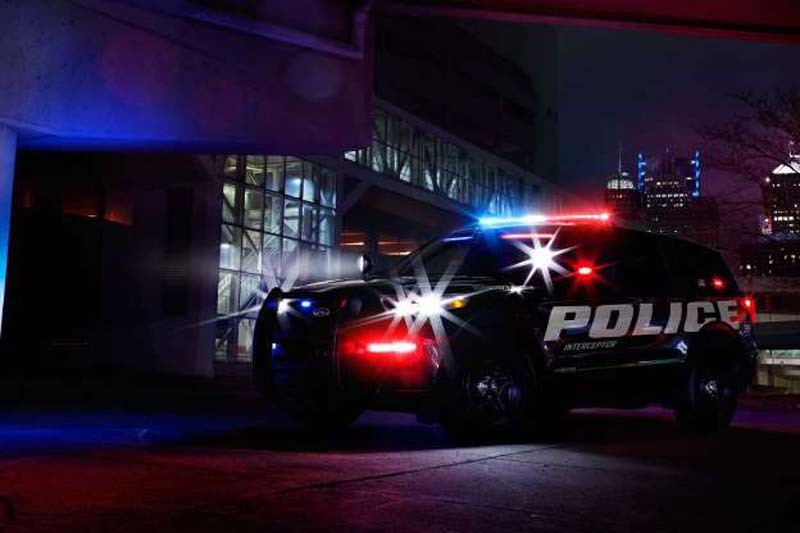 Tyler said, "The all-new 2020 Police Interceptor Utility offers significant potential fuel savings with no trade-offs in safety, passenger or cargo space on top of bringing improved performance."